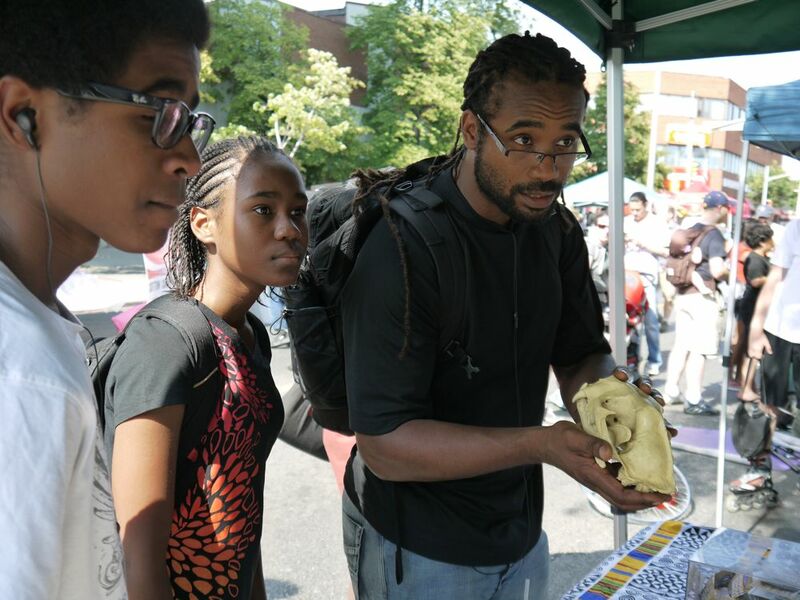 Culture Works, Bloordale brings institutions, organizations and collectives into the street. Culture Works brought institutions, organizations and collectives to Bloor Street with events to see, learn and participate in. Culture Works was described as a cultural institutional “Doors Open” all in one location, all free. 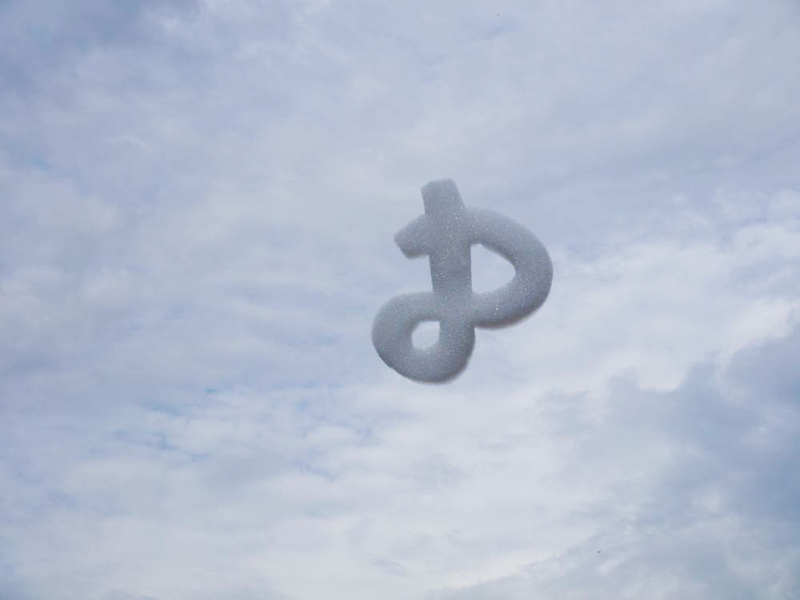 Artist IAINBAXTER& in conjunction with the Art Gallery of Ontario presented floating helium sculptures (helium sculptures conceived and produced by Civic Studies) and related & printed artworks (Transcultural Exchange and Someone ). 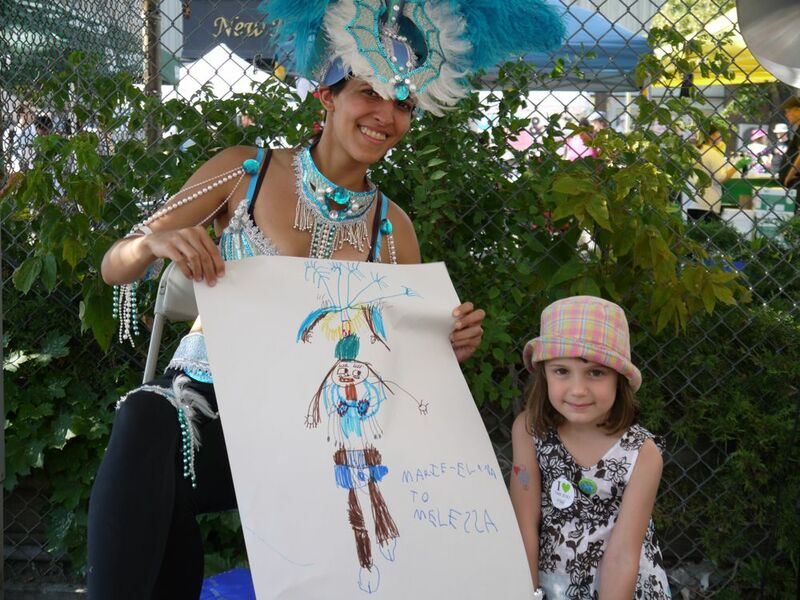 Bloordale BIA invited festival-goers to participate in colour Bloordale T-shirt event. Canadian Stage contributed A Midsummer Night’s Dream, Get Dramatic, Photo Booth. Centennial College life drawing for all ages, all abilities challenged people to “Make Your Mark”. Toronto Botanical Garden, had flower displays, honey tasting, beekeeper’s smoker, bee hives, herbs and invitation to draw a flower, those selected become a “garden” in stainless steel on a Bloordale sidewalk. The Gardiner Museum of Ceramic Arts invited everyone to reshape a 24-foot line of clay. The Textile Museum of Canada offered flag making ideas and opportunities – sew, glue, draw, knit… Ontario College of Art and Design University, artists’ installation toyed with the notion of what their ‘ugly’ work would look like in ‘grandmother’s house. Ontario Science Centre offered stage and booth activities to educates and amaze with science experiments, tricks and feats of daring. The Art Of The Danforth performance art team VS VS VS, created a carnival paintball sling-shot game as a messy step-up and break things, win what you break. Clay and Paper Theatre’s Day of Delight met the Night of Dread at the CanOpener Gallery. Toronto New School of Writing offered “Acts of Poetry” poets and festival-goers contributed their words to poetry panels. Toronto Public Library, story-telling event organized by the Gladstone Public Library. TransCultural Exchange uniting the world through art for 20 years and did so again at the festival with their 10th anniversary “Coaster Project” contributing take-away artwork. Toronto Zoo had wild animal encounters, educational artifacts and Zoo Mascot Explorer Bear TM. Bloor Serves, a University of Toronto partnership initiative made a one-stop neighbourhood asset map. Bloorcourt BIA offered information about Bloor from Dufferin to Christie Park including their new streetscape plan. Artist teams TIMEANDDESIRE installed on Bloor Street an interventive installation, a sign that encourages walking, Stephanie Ashenfelder and Amos Scully cast side-walk drawing chalk in the shape of the Kent School and photographers, Miklos Legrady and Nancy Paiva artfully documented events. South Asian Women’s Centre were at the festival with a line-up of traditional South Asian offerings: Indian dance steps, how to wear a sari, herbal cures, traditional henna and Rangoli or decorating the floor with colours. Gallery 44 sent out photographers to explore the BIG on Bloor Festival through the lens of photo-based artists. See the BIG On Bloor Flicker site to see the images of Marvin Antonio, Phillipa Croft and Ian Willms and others. Alliance of Portuguese Clubs and Associations of Toronto brought tradition Portuguese dance, crafts and food. 2012 Culture Works, initiated and produced by Dyan Marie was made possible by the support of a Celebrate Ontario award from the Government of Ontario as a feature event at the BIG on Bloor Festival.